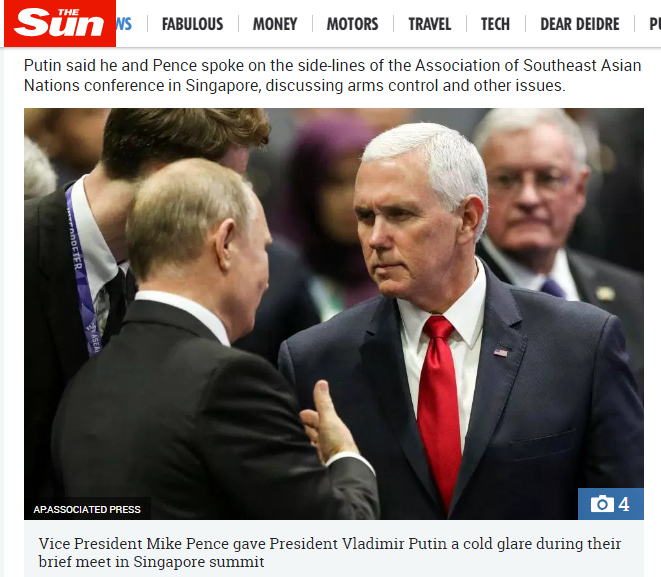 (29 November 2018) – The globalists have made arrangements for a big assassination show at the G20 Summit tomorrow, so this entry is aimed at exposing their plot and forestalling any effort to go through with it. No magician gets the audience response he seeks when some loudmouth heckler (like me;-) is yelling out the secrets of the trick he’s attempting. That being the case, allow me to show you the whos, whats, wheres, whens, hows and whys of how the rabbit got in the G20 Summit hat. Who will conduct the mass assassination? – It will be the G20 globalists themselves, both East and West, who will stage the assassination attack. Since they have total control over the G20 venue, they have arranged for their intelligence agencies to plan it, and both the Mossad and the MEK will be involved in carrying it out (the MEK is a Iranian dissident terror cult trained and supported by the Mossad). The plan calls for ISIS to take the initial blame for the attack, then for it to be blamed on Iran and Hezbollah. And after the resulting wars are in full swing, they’ll redirect the blame to the Mossad and the MEK. What is the nature of the assassination attack? – It will be part real and part theater, and according to the media narratives (both mainstream and alternative), it will happen because a number of powerful groups and individuals want a number of the G20 leaders dead. These “powerful players” include ISIS, Hezbollah, Iran, Qasem Soleimani, Israel, the Mossad, the MEK, the Pope and the Jesuits, the European Establishment, and the various “deep states” of America, Russia, China, India, Saudi Arabia and Brazil, to name but a few. Where is the attack going to take place? 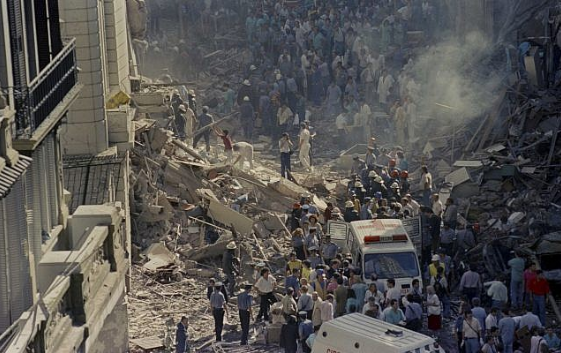 – In Buenos Aires, which has a history of large terror attacks supposedly carried out by Iran and Hezbollah. When will the attack happen? – On Friday or Saturday, with Friday being the more likely day. How will the attack be conducted? – It will likely involve city-wide distraction attacks and a concurrent cyberattack to throw the G20 security forces into disarray, followed by a main attack carried out with either a swarm of armed/explosive aerial drones or a water-borne nuclear warhead (of a 10-kiloton or so yield). Iran’s stealthy copy of a captured American aerial spy drone may play a role. Why are the G20 staging the attack? – The G20 was formed by the central bankers and their national finance minister lackeys; national leaders were later added to the mix. So the organization exists to advance the agenda of the central bankers, and staging a grand assassination show at this year’s “Leaders’ Summit” will enable the banksters to make a massive movement towards their goals. The G20 attack will give rise to a number of interrelated wars that will collectively be known as “World War 3,” and after Israel is finally fingered as being responsible for the G20 attack, World War 3 will transition into a “Gog-Magog” invasion of Israel and a final culminating battle (of “Armageddon”). The NWO (a “reformed” and stronger UN) will then rise from the ashes of the wars. So that is the summary of what’s planned; to understand all the details, you’ll need to read the notes I made during November. You should find them quite interesting. But let me preface the notes by telling new readers that the globalists control both sides in the current political drama: both the “Establishment” side (Obama, Clinton, Soros, the Bilderbergers, the mainstream media, etc.) and the “Anti-Establishment” side (Trump, Le Pen, Putin, the BRICS, the alternative media, etc.). They are deliberately staging a dialectic conflict between these two controlled fronts in order to implode their existing “Establishment” and erect a new one (the New World Order) in its place. That is the true narrative of what’s going on in our world today. What I’ll be covering in the writings that follow are the specific events and false narratives they’re attempting to use in moving us into the NWO. Since there are two controlled sides to the staged conflict, there are two false narratives the globalists are spinning: 1) the mainstream narrative is the Establishment-side propaganda they sell to the sleepers, and 2) the alt-media narrative is the Anti-Establishment-Side propaganda they sell to those who are awakening. They want you to come to see the mainstream narrative as a lie and the alt-media narrative as the truth. That’s because today’s alt-media will be the mainstream media of the New World Order. This development creates the appearance of a quid-pro-quo arrangement between Bolsonaro and the judge (it can be claimed the judge improperly convicted Lula in exchange for a promised cabinet post in Bolsonaro’s government). This being the case, should the globalists do their assassination show at the G20 Summit instead of Paris, they can not only script the “Western Satanists’ assassination of the Avatars” (Trump, Putin, Xi, and Modi), but also script a leftist takedown of Bolsonaro (“Brazil’s Donald Trump”) by removing Brazil’s President Temer from the board. Under Brazil’s rules of presidential succession, an assassination of Temer at the G20 would allow Brazil’s National Congress to elect a new president to finish out his term. And that means they could elect Lula (if his second appeal meets with success in November or December) or someone else who could pardon Lula. Either way, a free Lula could be combined with a leftist uprising to demand a new presidential election under threat of civil war. It’s a clever play, but hopefully this early exposure will nix it. Just to be sure, I’ll give it a double-tap before the G20 Summit convenes. >>> Should a President die, resign or be removed from office, a Vice-President succeeds as President. The other officers in the line of succession do not become President in those cases. Instead, the next available person in line merely becomes Acting President, and the Constitution dictates that, whenever both the presidency and the vice-presidency become vacant, new elections are to be held. So in the case of an Acting President taking office due to a double vacancy in the presidency and vice-presidency, the Acting President serves only until the special election takes place and the newly elected President and Vice-President are sworn-in. If the second vacancy triggering elections takes place in the last two years of the presidential term, the National Congress is empowered and required to elect the President (and his Vice-President). If the double vacancy of the presidency and vice-presidency takes place in the first half of the four-year presidential term, however, a presidential election by popular vote is held. So following the “death” of Temer, the President of the Chamber of Deputies (Rodrigo Maia) would become the momentary Acting President until a replacement President can be elected. And since the double vacancy would happen during the last two years of the current presidential term, the National Congress would elect the replacement. 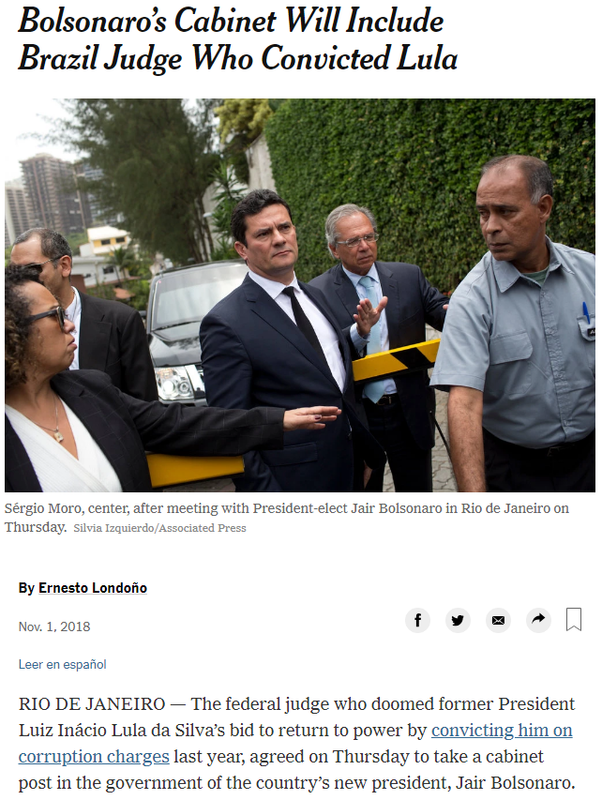 Since the replacement President would have less than a month in office before Bolsonaro is inaugurated on January 1, he or she would only have time to do something simple (like pardoning Lula). So Lula is the next component we’ll look at. More to come over the course of the weekend, including coverage of the assassination show setup in Paris and the imminent implementation of the US oil export embargo on Iran (which is scripted to provide the Iranians with the motivation to assassinate Trump in Paris or at the G20, even though they won’t be the ones doing it). >>> On 12 July 2017, he was convicted of money laundering and passive corruption, defined in Brazilian criminal law as the receipt of a bribe by a civil servant or government official. Lula was sentenced to nine years and six months in prison by judge Sergio Moro, but he remained free pending an appeal of the sentence. On 24 January 2018, the Regional Federal Court of the 4th Region, which is a panel of three appellate judges, unanimously upheld Moro’s ruling against Lula and increased the sentence to 12 years. 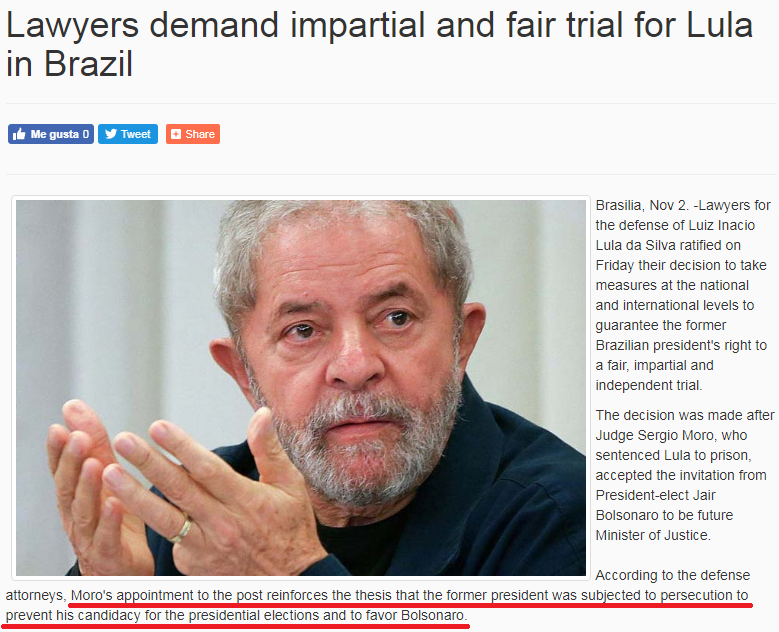 On 5 April 2018, the Supreme Federal Court voted to reject Lula’s habeas corpus plea and on the same day a warrant was issued for his arrest. He turned himself in and began serving his sentence on 7 April 2018. They can script the overturning of Lula’s conviction before the National Congress holds the post-assassination election of Temer’s replacement, thus allowing them to elect Lula. They can script the National Congress electing a replacement President who will pardon Lula in December, before Bolsonaro takes office. >>> “Lula-ism is bigger than the PT. The party has the backing of organised labour and social movements, but Lula has the support of the mass of society, the poorest people in Brazil,” said Ricardo Musse, a sociologist at the University of Sao Paulo. 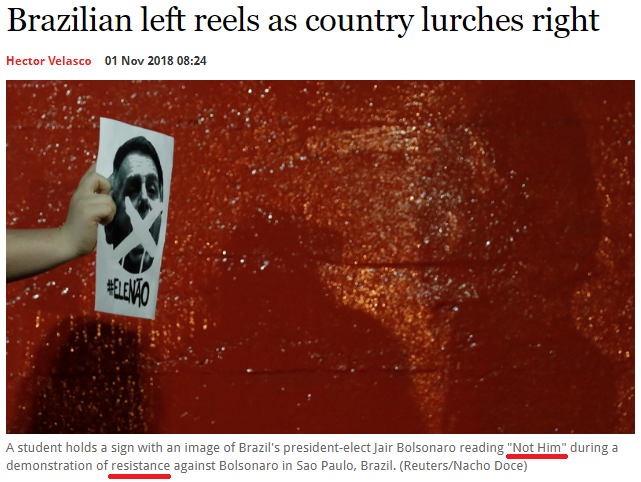 Also note the blurb below the photo; they are using the same “resistance” wording the American “left” has used against Trump, and “Not Him” is reminiscent of “Never Trump.” As I’ve said before, the globalists are using this “leftist chaos that pushes people to the right” template all over the place at both the national and global levels. The next component we’ll look at is the Bolsonaro / National Congress relationship. (4 November 2018) – The relationship between President-Elect Bolsonaro and the National Congress has been narrated as being tense. Bolsonaro once said that if he were ever elected President, he would shut down the National Congress on his first day. And back in July, his son threatened a shutdown of the Supreme Court. If you add to that Bolsonaro’s expressed intention to fire many of the government’s bureaucrats, you get a situation in which those institutions and their members (the current Brazilian “Establishment”) see Bolsonaro as an existential threat. On top of that, there is the matter of pervasive corruption in the National Congress. In last year’s corruption purge, 66 senators and representatives went under the microscope. And Bolsonaro’s appointment of Lula’s convicting judge to the post of justice minister signals a massive corruption purge will occur after the January 1 inauguration. That being the case, the corrupt members of the current Congress have less than two months before the new corruption crusade begins and new pro-Bolsonaro congresspersons take office and shift the balance of power. This provides motivation for them to do anything possible to stop Bolsonaro, including assassinating Temer and electing or pardoning Lula. 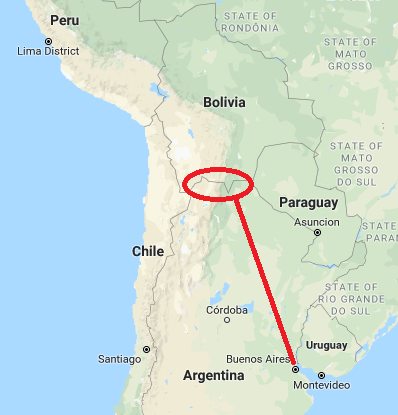 It is important to note that Argentina is hosting the G20 Summit this year, and they share a common border with Brazil. This makes the infiltration of a G20 hit team by the Brazilian “Deep State” a simple matter. So in the next section, we’ll look at all the potential G20 targets of the various “Deep States” as well as all the nations and groups that stand to be blamed if an attack happens. 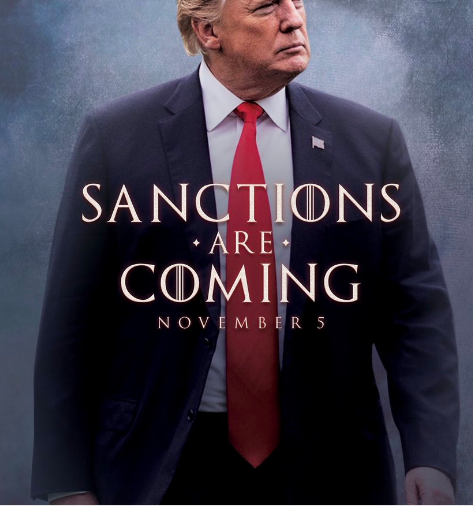 > Donald Trump of the US – the controlled media, both mainstream and alternative, have cast him as a existential threat to the “US Deep State,” the “Satanic Western globalist” agenda, the trade interests of China, and the regimes of Iran and North Korea. So they all supposedly want him dead. 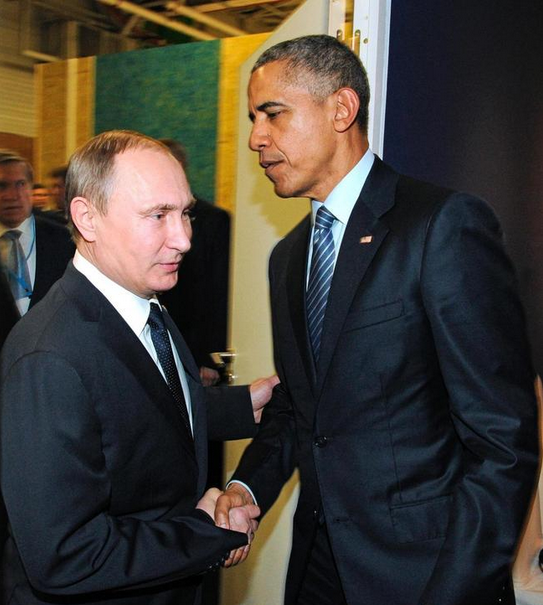 > Vladimir Putin of Russia – He too has been cast as an existential threat to the “US Deep State,” NATO, the EU, and the “Satanic Western globalist” agenda. So they all supposedly want him dead alongside his “fellow Christian” Trump. > Xi Jinping of China – He has been cast as an enemy of the corrupted, Western-friendly element of the Communist Party, and he is supposedly facing a quiet rebellion against his anti-corruption drive, his consolidation of power and his confrontational stance towards the West. So his domestic rivals would like to see him disappear. > Narendra Modi of India – As a Hindu nationalist, he has been cast as an enemy to Indian and Pakistani Muslims and ISIS, so the jihadis would like to bathe in his blood (or whatever it is they do after a satisfying kill). And since Pakistan supposedly helped North Korea build their nukes, Modi’s death from a Pakistani / North Korean warhead could trigger the India versus Pakistan element of World War 3. > Michel Temer of Brazil – His assassination at the G20 would open the door for Brazil’s China-supported Leftist Establishment to bring Lula back to stop or impede President-elect Jair Bolsonaro. > Crown Prince Mohammed bin Salman (MBS) and/or King Salman of Saudi Arabia – MBS has been cast as an enemy of the “US Deep State” and an existential threat to the petrodollar, so both the Saudi and US “Deep States” supposedly want him out of the way. Killing him at the G20 would directly solve the problem; killing his father would remove his biggest supporter, leading to his fall from power; and killing both him and his father would solve the current problem and prevent any future problems. It would be back to business as usual for the US-Saudi cabal. > Moon Jae In of South Korea – Killing him at the G20 would throw a monkey wrench in the North-South Korean peace process, and doing it with a nuke or other WMD supposedly sourced from North Korea would flat out kill the peace process and bring on war. > Giuseppe Conte of Italy – As the new “anti-Establishment, populist” leader of Italy, Conte supposedly poses an existential threat to the European Establishment’s EU and Euro projects, as well as their Islamic invasion plan. So they would supposedly like him to “sleep with the fishes” in the Rio de La Plata. > Macron, May and Merkel – From the perspective of the European Establishment, all three of these leaders are supposedly damaged goods, so their deaths at the G20 could serve the purpose of generating public sympathy for them and their Establishment parties. And from the perspective of the real globalist agenda, moving them off the board would open the way for populists to surge into power (which is what the globalists actually want at this stage of The Plan). > Tusk and Juncker – From the perspective of the European Establishment, their deaths would be another sacrifice of damaged goods for public sympathy towards the EU. The nuke option is unlikely if Recep Tayyip Erdogan of Turkey shows up to the Summit. It is doubtful that the globalists will remove him from the board this early (he still has much to do in playing his role), so his attendance would likely mean a nuclear attack isn’t planned. But should something happen in Turkey that prevents him from attending, the nuke option is definitely on the table. When you see things like this, it’s important to remember that nothing is what it appears. What I mean by that will become clear in future writings. …But this 2019 cover is not blank; it simply depicts an all-encompassing darkness. This is because the globalists heartily intend to take us into the “Darkness Before the Dawn” phase of their NWO implementation plan next year (good luck with that, fellas). You can read about this phase in the NWO Schedule of Implementation section further down this page. One of the main markers of the beginning of “the Darkness Before the Dawn” is the fall of Donald Trump, either by assassination or removal from office. And the upcoming G20 Summit in Buenos Aires offers the final grand stage they can use to put on the assassination show this year. If the globalists want to take us into the Darkness Before the Dawn in 2019, a big hit at the G20 would do nicely to get it started. We’d be falling right into the abyss as the new year begins. I’ll therefore cover it in a comprehensive manner. 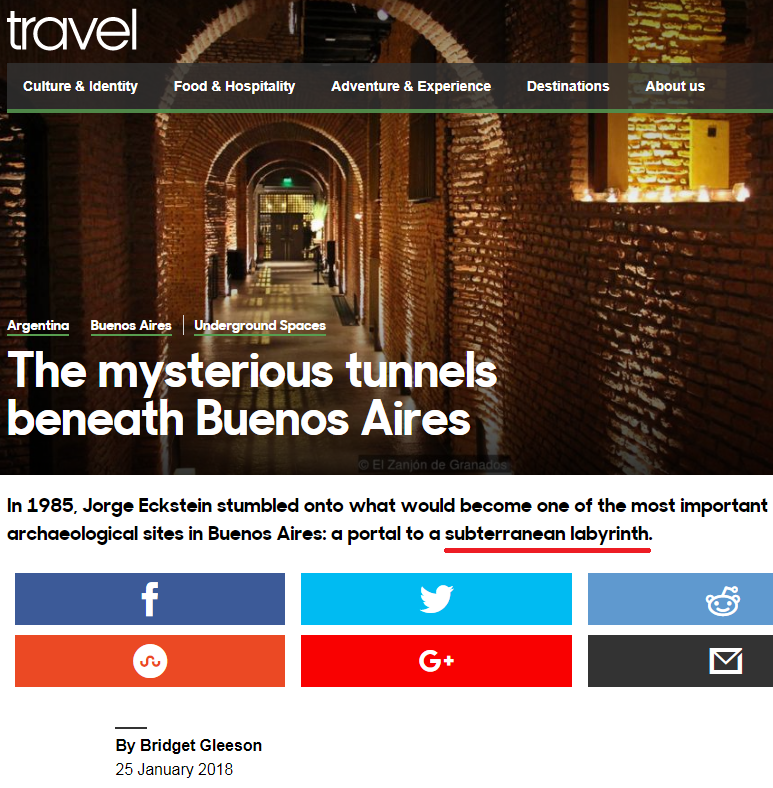 That being the case, the globalists could pick no better site than Buenos Aires for a mass casualty “terror” attack “carried out by Iran and Hezbollah.” Why, you ask? Because Buenos Aires has already suffered TWO such attacks in recent memory. 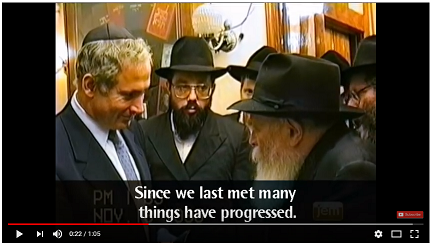 For the time being, Netanyahu will take on his duties, and Lieberman’s eventual replacement will likely be someone whose Chabad connection is not publicly documented. One would hope these developments are the initial signs that the globalists have canceled the G20 bombing operation. Hope is no substitute for putting in the work, though, so this blog’s G20 coverage will continue. There is much to learn by finishing what was started, and the writings can be reused the next time they try this. So this new “vast offensive” was suddenly halted just five days after it began. 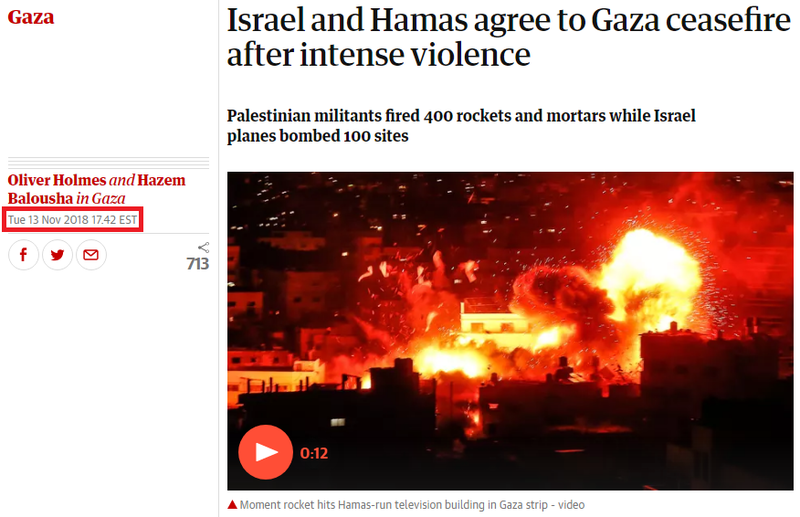 It’s no coincidence that this happened within a day of the Gaza offensive being suddenly halted. 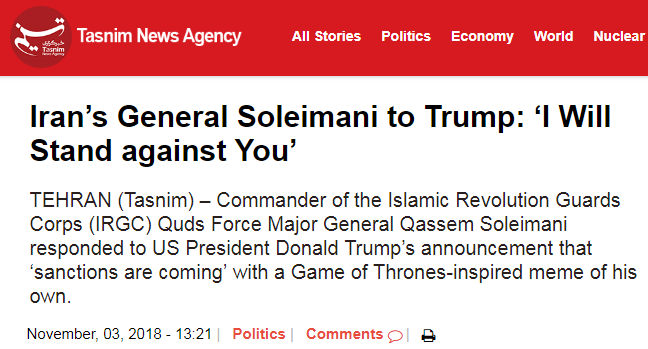 The globalists want to hold the “Gaza Invasion” and “Fall of Hodeidah” cards for play the next time they attempt to start the hot phase of the Middle East War — the next time they want to trigger the “Iranian Cruise Missiles out of Yemen” scenario. I suspect they’re narrating this new phase of the Hajin offensive so they can narrate the capture of ISIS’ leader and a subsequent collapse of the final ISIS pocket in Syria. This could enable Trump to announce a timetable for a US withdrawal from Syria at the Summit (where he’ll be meeting Putin to supposedly coordinate planned actions of that sort). As a fallback play, they could keep the Hajin offensive grinding on till March of next year so Trump can announce the withdrawal then. In that case, don’t be surprised if a Trump-Putin summit is announced for March. March is the next foreseeable assassination timeframe. Wow, I just put something together. It is indeed possible that Erdogan is among those scripted to die in the G20 bombing. 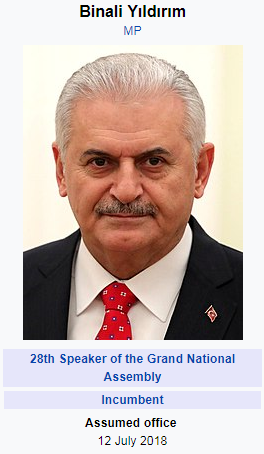 And it may in fact be Binali Yildirim, the man who would become Acting President of Turkey after Erdogan’s assassination, who will lead Turkey first against Iran and then against Israel (remember: Iran will be blamed for the bombing first, then the blame will shift to Israel, thus resulting in the Gog-Magog War against Israel and its culminating Battle of Armageddon). I’ll fill in the details of this in the morning. In the final minutes of the interview, Richardson suggests that there will be a massive regional war between Turkey and Iran before the Gog-Magog War. He further suggests there is a possibility that Erdogan will be killed during this war, and a Turkish antichrist will rise out of the ashes of the war to lead Gog-Magog against Israel. Now take a moment to overlay Richardson’s prediction onto the G20 bombing scenario I’ve laid out. Turkey and Iran share a common border, and both have positioned their forces in Syria in advance of this predicted war. So what will happen if “Iran and Hezbollah” kill Erdogan by bombing the G20? Turkey will attack Iran and their Hezbollah proxies in Syria, won’t they? 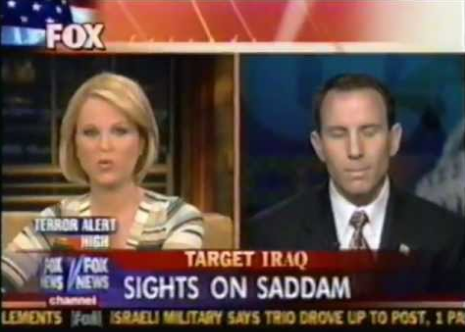 And this would give us the preliminary Turkey-Iran War Richardson has suggested. What will then happen after it is revealed that “Israel and the MEK” are actually to blame for the G20 attack? Both Turkey and Iran “will realize they were duped into destroying each other by the Israelis,” so they will cease fire and join forces (along with all the other Muslim nations in the region) to furiously attack Israel in response. This would give us the First Gog-Magog War and the First Battle of Armageddon. All of this could transpire over just a few months time — in time to sync Putin’s savior moment (when he reenters the stage to save Israel) to the prophecy calendar in March. 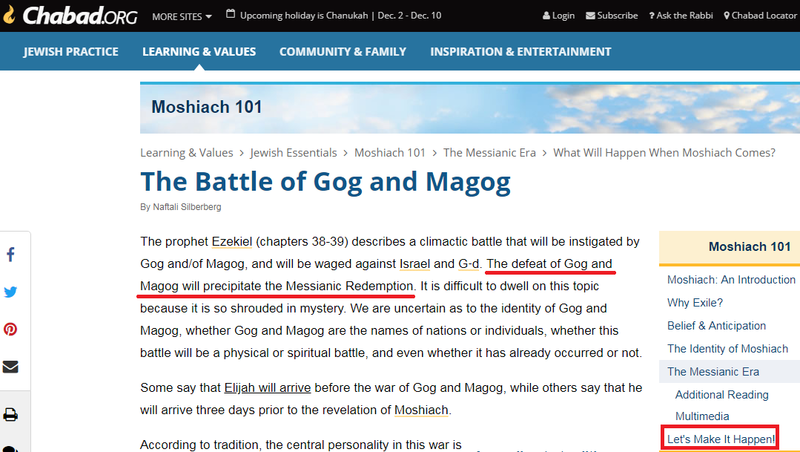 The Gog-Magog War on Israel will be started by the Turkish antichrist and his allies, who will then be joined by the rest of the world for the final battle. So after Israel’s hand in the G20 attack is uncovered, Turkey’s Yildirim will rally all the Muslim nations to invade Israel from all directions. And as this invasion gets moving, the UN Security Council will pass a resolution authorizing military action against Israel, thus leading to “all the world’s armies” joining in for the final push. The resolution will not be vetoed because all the P5 nations will have lost their leaders at the G20, leaving Israel completely isolated and without earthly aid. 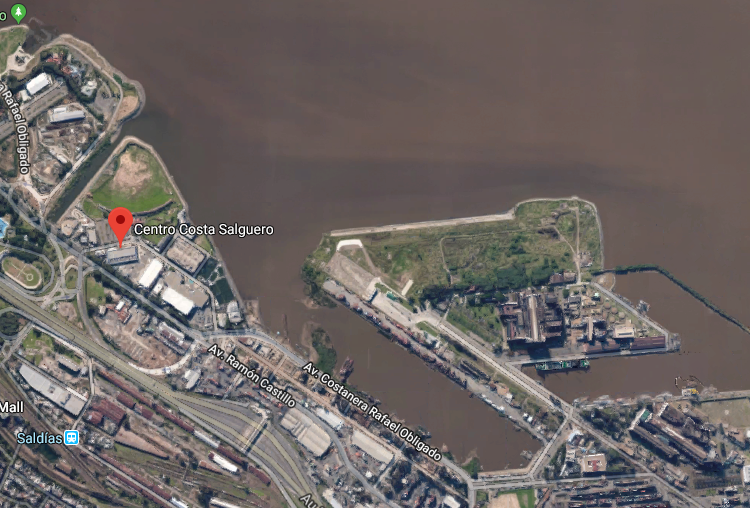 Did the possible cancellation on Tuesday of the G20 bombing cause them to scuttle the vessel to give closure to the mystery of its disappearance? And if the San Juan did sink from an accident a year ago, was its discovery today the result of somebody scouring the waters off Argentina looking for rogue submarines that could be used against the Summit? 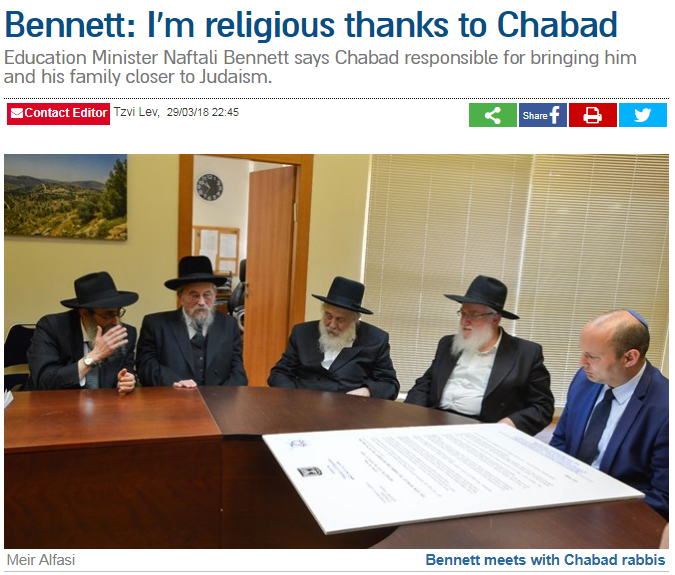 ALERT (18 November 2018) – Will Chabad take down Netanyahu tomorrow? 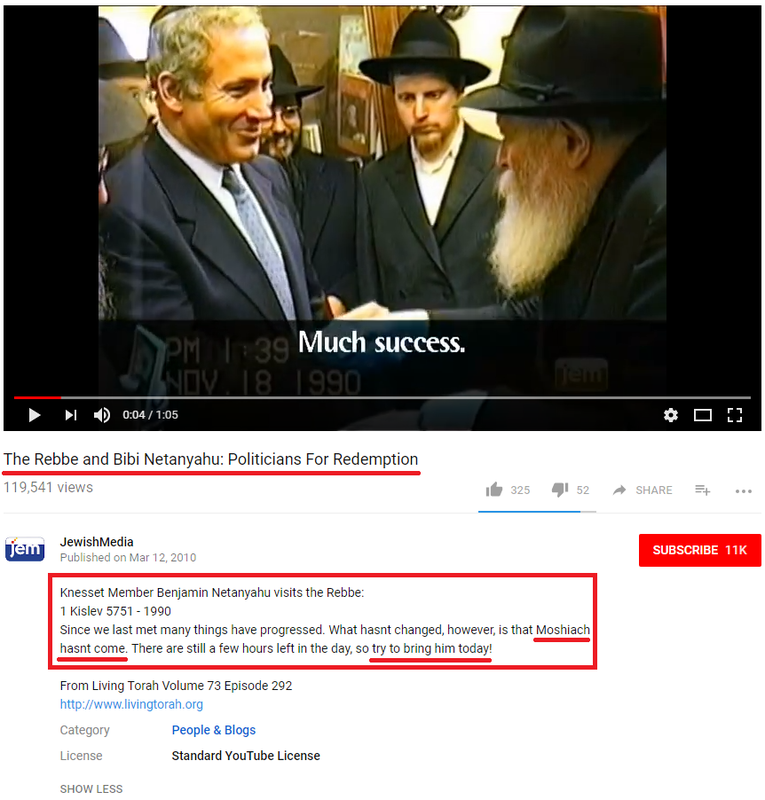 It looks like the globalists have scripted the fall of Netanyahu at the hands of the Chabad-Lubavitch messianic cult. The cult is basically threatening to take down his government if he doesn’t give them back the defense ministry and let them start the End Times war to bring in their “Jewish Messiah.” So it looks like the globalists are scripting Netanyahu as a “good guy” / “voice of reason” whose political fall leads to Israel’s disastrous descent into war. And If he gets taken down before the G20, they might proceed with more takedowns there. So far, Netanyahu has refused their demands, so they are threatening to take down his government tomorrow and trigger a snap election. This could potentially lead to a more aggressive government that will start Chabad’s desired End Times war. >>> Benjamin Netanyahu has won a reprieve from the threat of early elections in Israel after a senior member of his cabinet announced he would not resign and break up the coalition government. 1) The purpose of the coup — had it been completed — was to give the public a logical political narrative that would have flowed into the invasion of the Gaza Strip. And this particular way of scripting it — with Netanyahu trying to hold back the disastrous invasion but getting overpowered by hotheads — suggests they’re trying to preserve Netanyahu’s reputation so he can be used later in the story, perhaps as Putin’s viceroy over Israel. 2) The purpose of the Gaza invasion, which is still in play, is to outrage the Muslim world so the Turks can start organizing the combined Muslim army that will be used to invade Israel in the Gog-Magog War. 3) The purpose of starting the formation of the Muslim army now is so it will be ready for Gog-Magog by next March. Organizing it now will allow the globalist scriptwriters to flow seamlessly out of the planned Turkey-Iran War straight into Gog-Magog. If they waited to organize the invasion force till after Turkey-Iran, there would be a drama-killing pause between the two wars. 4) The scripted, public reason for Chabad-Lubavitch wanting to trigger the invasion of Israel is to force the Moshiach ben David (the Jewish Messiah) to come forward to prevent Israel’s total destruction. 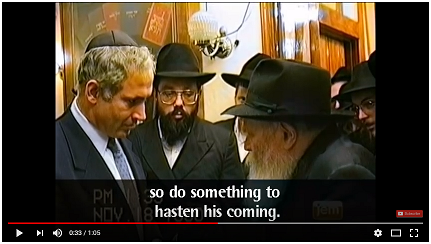 Here is a YouTube video of the Lubavitcher Rebbe exhorting Netanyahu to make the invasion happen…. It’s time to pull your head out of your tuchus and face the reality of what your government, the Mossad, and Chabad are doing to you. It’s also time to spread the word to others and to command your representatives to stop. Even though you don’t have the control over them you think you have, letting them know that you’re onto their con will dissuade them from continuing. 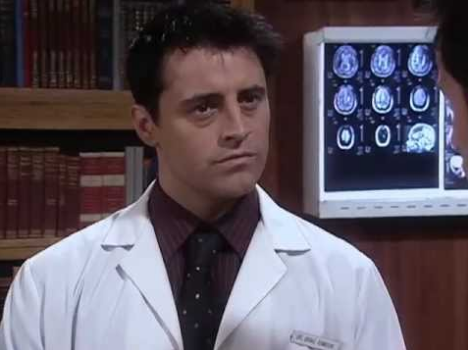 You can’t pull off a con if your mark knows exactly what you’re doing. Your life, and the lives of your children in the IDF, depend on you stopping this thing. If you don’t do it now, you’ll not only see lots of death and destruction in the coming months, but you’ll also see the total destruction of Judaism and all Jews living in Israel seven years after that. The final Jewish pogrom, to be provided by your supposed friends the elite Kabbalists, is already scripted. (19 November 2018) – As if to underscore that the G20 bombing scenario may still be in play, the press have now narrated that Saudi Crown Prince Mohammed bin Salman (MBS) will attend the G20 Summit (and they announced it while the Saudis were also urging action against Iran). I haven’t yet seen clarification if MBS is traveling WITH King Salman or INSTEAD of King Salman, but if both attend, the “evil US and Saudi Deep States” would get a twofer. So if the Saudis calling for action against Iran get assassinated at the G20, and Hezbollah activity has previously been detected near the summit site, can you guess who will get the blame for killing MBS? Read the sections below this and Globalist Outcome and Scripting Options for the 2018 G20 Summit for more information on the assassination plan. >>> Dozens of princes and cousins from powerful branches of the Al Saud family want to see a change in the line of succession but would not act while King Salman – the crown prince’s 82-year-old father – is still alive, the sources said. They recognize that the king is unlikely to turn against his favorite son, known in the West as MbS. >>> Israel is concerned that the international pressure on Saudi Arabia over the killing of Jamal Khashoggi by Saudi agents will destabilize the Sunni kingdom and the Middle East as whole, Senior Israeli officials tell me. If Netanyahu is to be in the pantheon, that means he is an assassination target too. 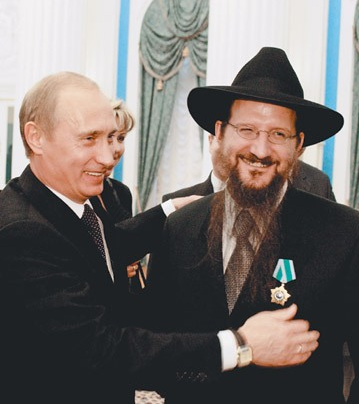 And given the failure of the staged Chabad coup against him, don’t be surprised if they send him to the G20 to be assassinated alongside the rest. They could say he’s going there because he needs to talk to MBS. So these brand new Israeli patrol boats will be the main line of defense against a submarine / frogman infiltration. This is a problem because the Mossad has likely added “poison pill” software to the sonar systems on the boats. >>> Additionally, Argentina has paid US$5.2 million for a high-tech cybersecurity system, even though Israel is not in the G20 and other countries who are (such as Russia, the US, the UK and China) are also leaders in the cybersecurity sector. This means the Mossad will be staging debilitating “Iranian” (and possibly “North Korean”) cyberattacks to disrupt the systems and networks of the Summit security forces. The attacks will succeed because of the backdoors the Mossad has embedded in the cybersecurity system. And since the system employs machine learning AI, the Israelis will have plausible deniability for the system’s failure. They can say, “The AI malfunctioned for reasons we do not understand,” which is a well-known problem with such AI. So it will be an Israeli radar watching for drones at the Summit. This is a problem due to “poison pill” software again. In the case of the sonars on the Israeli patrol boats, the poison pill could generate a false display of what’s underwater or simply prevent the display of objects of a certain size, like a submarine. This would allow an underwater strike to pass through undetected. And in the case of the Israeli drone radar, the poison pill could do the same for what’s in the air, or it could hold the door open for a cyberattack that will take down the radar and/or its network. So as you can see, the Mossad holds the keys to all the doors needed for a successful attack on the G20, and that’s why I’m expecting what I’m expecting. In the future official narrative of the NWO, it will be said that the CIA “recording” of the MBS “smoking gun” phone call was a deep fake they produced as part of their campaign to take him down. Is the Mossad really so brilliant that they pick up on every little “terrorist” plot around the world, or did they know about these particular plots because they are the ones who set them up? That being said, why did the globalists plant this story in the press? 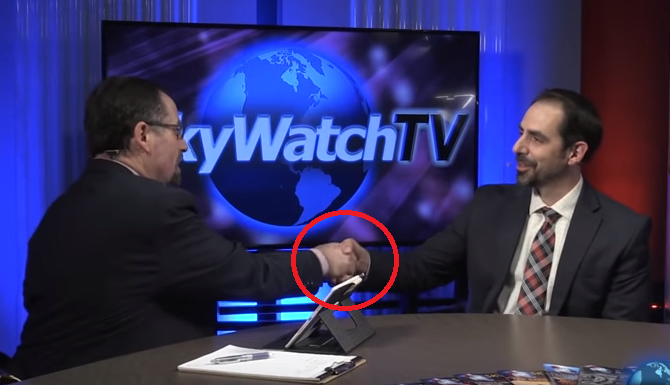 They did it so the alt-media can point out what I’m pointing out when it comes time to move the blame for the G20 strike from Iran / Hezbollah to Israel / MEK. Remember, the “sequence of blame” will start with ISIS, continue with Iran / Hezbollah, and end with Israel / MEK. 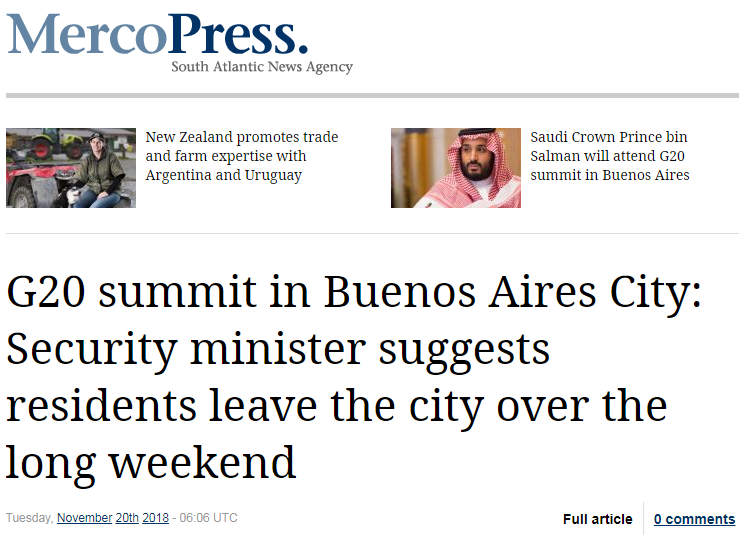 >>> Argentine Security Minister Patricia Bullrich has warned Buenos Aires City residents that the staging of the G20 Leaders Summit at the turn of the month will make things very “complicated” in the City, telling residents they should use the long weekend to leave Buenos Aires for a few days. So the ostensible reason for people evacuating the city is to avoid inconvenience and chaos due to the Summit security measures, but the article also foreshadows “spaces of extreme violence” in keeping with the first part of the Mossad strike plan. 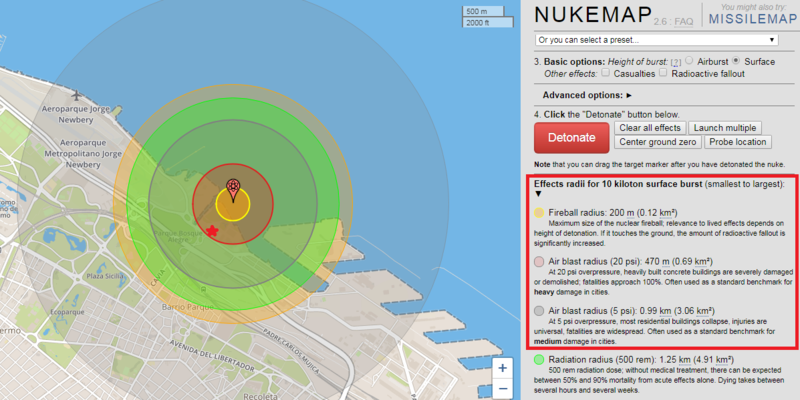 This evacuation could also be an effort to minimize civilian deaths from a nuclear strike. I don’t think the globalists want the “karma” of unnecessary, un-forewarned deaths hanging over them, at least not in the first phase of The Plan. And let’s not forget that the Summit will start on Friday, and it will be the 13th G20 Summit, so it’s got a “Friday the 13th” angle attached to it. This makes Friday the most obvious day for the attack, so it’s a good idea to get out of the city on Thursday as recommended. The article suggests that “the Islamic Republic had concrete plans [back in 2003] to manufacture and build at least five nuclear weapons and that it was much further along in this scheme than previously known by the international community.” It further suggests that the program to build “five nuclear warheads, each with an explosive yield of 10 kilotons and able to be delivered by ballistic missile” may have covertly continued in the 15 YEARS since then. So it basically suggests that Iran may have nukes right now. Isn’t it interesting that this article came out just 9 days before the G20 Summit? By putting this information out there, the globalists are expanding their scripting options. 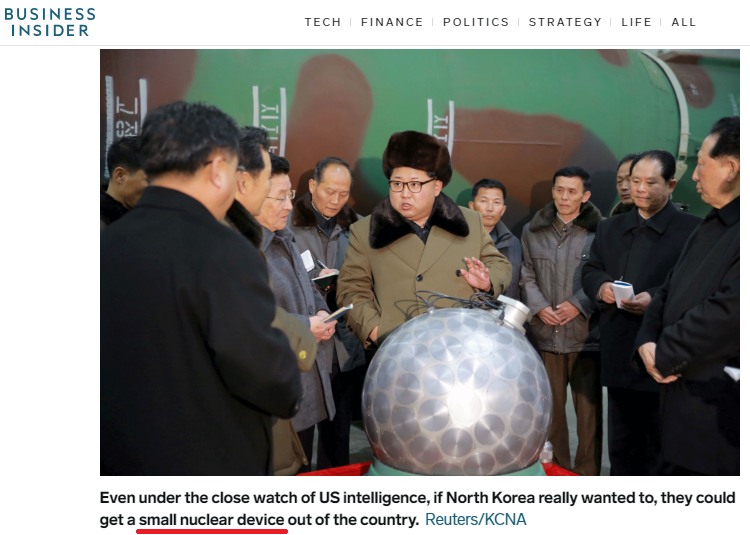 They no longer have to narrate that Iran got its nukes from North Korea; they can say that Iran developed its own, with North Korean assistance. 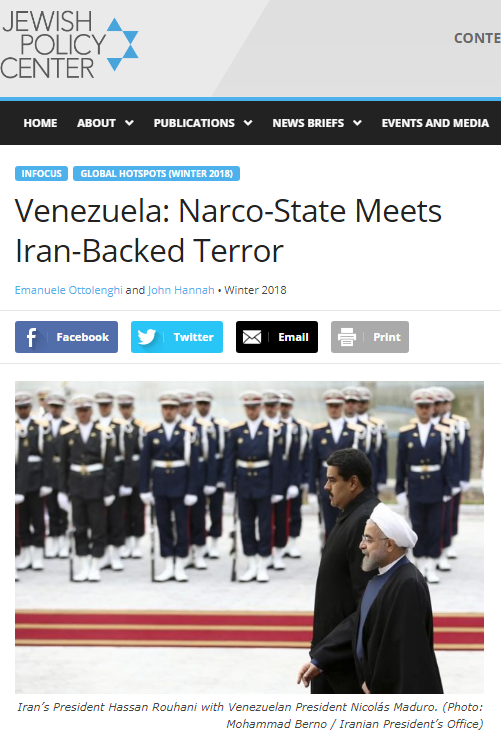 >>> …Iran allegedly helped build a UAV facility in Maracay, Venezuela, with documents reviewed by Fox News suggesting potential dual use technology. After an unexplained explosion in 2011, Humire says sections of the plant, reinforced with ceramic plates at Tehran ‘s insistence, were largely intact. 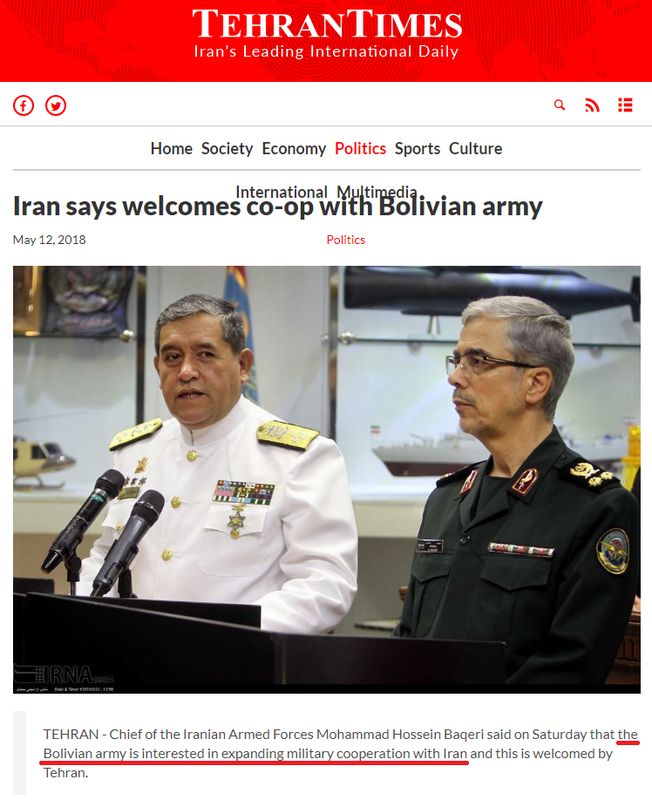 So the globalists have placed Iran’s nuclear, ballistic missile, and drone programs in Venezuela, and they’ve hinted at a site in Bolivia that could be used to launch ballistic missiles / drones / cruise missiles. Why would Ukraine risk provoking a war against Russia (a major nuclear power) that they can’t possibly win? The reason is that they have NATO backing and they also may have a few nukes (supposedly received from North Korea in exchange for helping them develop their ballistic missiles). 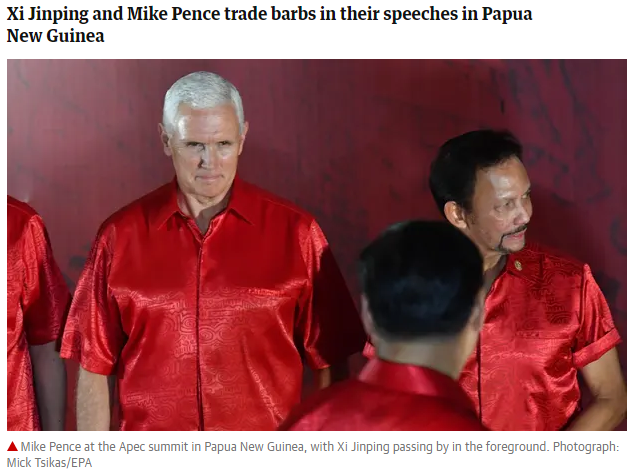 So what are the globalists scripting here? Possibly a military buildup in preparation for the battle to retake the Crimea. And possibly an attack on Putin using a smuggled Ukrainian/North Korean nuke, either in Russia or Argentina. The confrontation may also be scripted as leverage in blocking a deal between Putin and Trump during their meeting at the G20 Summit. As I’ve mentioned in previous updates, the World War 3 script calls for NATO to pull Russia into a two-front war by engaging them in Syria while also hitting them in the Crimea. And according to the script, Russia will win the Crimean War, taking all of Ukraine east of the Dnieper River. 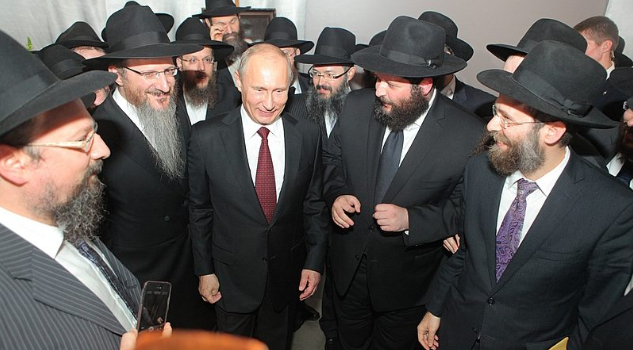 You can read about the reason why in the very bottom section of this page, titled Vladimir Putin, the Jewish King of Restored Khazaria. “The explosives department has determined that not only that it was a bomb, but even though it was homemade, it was quite sophisticated, in which three detonations were made. It was a pipe[-bomb] but with greater sophistication and power, according to experts,” D’Alessandro told the TN news channel. Protesters have often taken out their fury about fast-rising prices at Christmas-time by burning stores and blocking roads. Last December police used tear gas, rubber bullets and water cannon to push back rock-throwing protesters angry about the government’s pension reform plan. 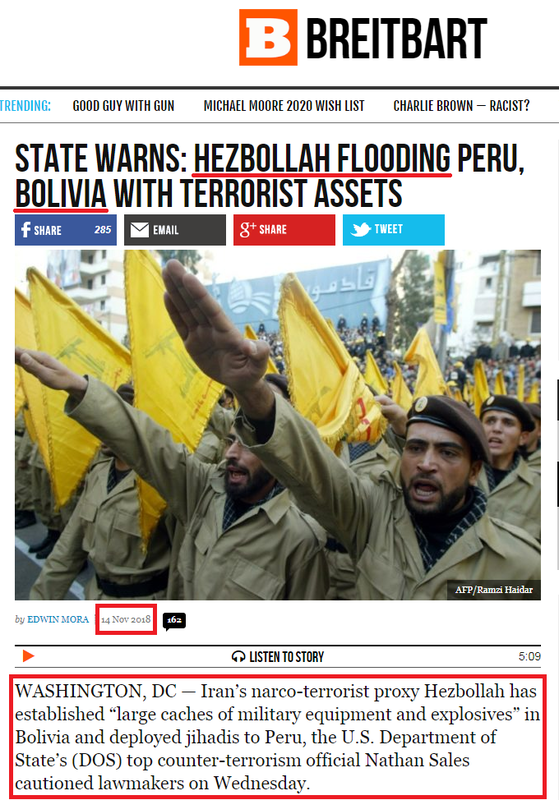 As you can see, they’ve already had some leftist patsies blow up some bombs near the Summit site, and the post-attack mainstream narrative will say that Hezbollah trained them in how to build the “quite sophisticated” bombs they used. So during the Summit, the leftists/anarchists will block roads, set fires to cars and buildings, explode bombs and Molotov cocktails, and engage in sniper and mass shooting activity. “Hezbollah” cells will be out doing the same things, but with even more powerful weaponry. And as the Summit security forces attempt to coordinate a response to all this, their systems and communication networks will be malfunctioning from effective cyberattacks. This makes the Summit an easy target for a water-borne attack / sail-up nuke scenario. Since the Iranians are big proponents of small boat swarm tactics, keep an eye out for such a swarm to be part of the distraction attacks. The most effective way for the false-flaggers to employ a swarm would be to man the boats with sign-carrying unarmed protesters. As the protest boats maneuver wildly in their approach to the Summit venue, the security boats will be pulled off of their patrol routes and kept occupied. This, along with the sabotaged Israeli sonars, will allow the attackers to bring a sub within easy striking distance. If the nuke explodes at a range of one-half to one kilometer, the Summit building will be moderately damaged and many of those inside will be killed. So if the globalists wish to narrate certain leaders dying and others surviving, they’ll choose this distance. 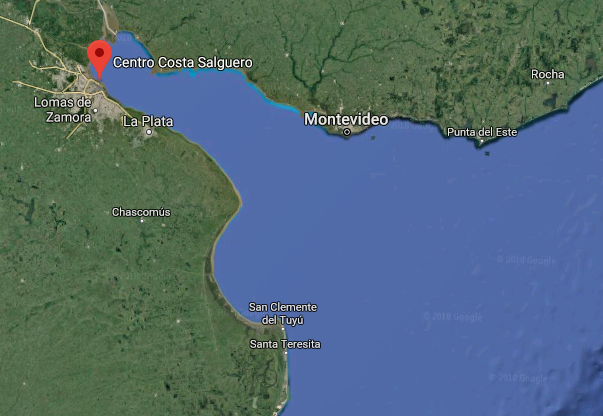 And if exploded within one-half kilometer (like the map shows), the Summit building will be totaled and all the leaders will be killed (supposedly). As for how they’d get the warhead to the desired distance, they could sail close with the sub, then surface and blow the warhead, or they could deploy a conventional or rocket-powered torpedo or an underwater drone from a standoff distance. So before the attack, the leaders will either be in a bunker or at a safe distance from the point of detonation, and the “live stream” of the Summit will be either prerecorded or streamed from a safe location. (27 November 2018) – Of course, it will be hard for people to believe that the Iranians would do such a suicidal thing as attacking the G20. Since the G20 consists of both the “Western” G7 powers and the “Eastern” BRICS powers, killing the leaders of both sides would unite the world in war against Iran. So the globalists have to address the believability factor in their scripting, and that is why they’ll say that Iran set up ISIS to take the fall for the attack. It’s not hard for anyone to believe that ISIS would do it. >>> With some of the harshest sanctions on earth imposed on North Korea, it’s easy to imagine the nation attempting to raise money through illegal arms sales to the US’s enemies, which could even include non-state actors like al Qaeda or ISIS. >>> The United States should not underestimate the ability of terrorist organizations such as ISIS to mount cyber attacks against the homeland, says John Mulligan, former deputy director of the National Counterterrorism Center. As the nation works to shrink territorial control of the caliphate in Iraq and Syria, the battlefront extends virtually to the cyber domain, and America must be prepared. So as you can see, the press have narrated ISIS as potentially having all the necessities for the core attack: the small nuclear warhead, the amphibious specialists capable of delivering it from underwater, and the hackers to launch the disabling cyberattack. But as you can also see, they’ve expressed doubt about each element (“The capacity of Isis to acquire such a [nuclear] device is certainly beyond the group at the moment”; “ISIS Special Forces Not That Special”; “ISIS Cyber Jihadis Are ‘Garbage’ at Hacking”). 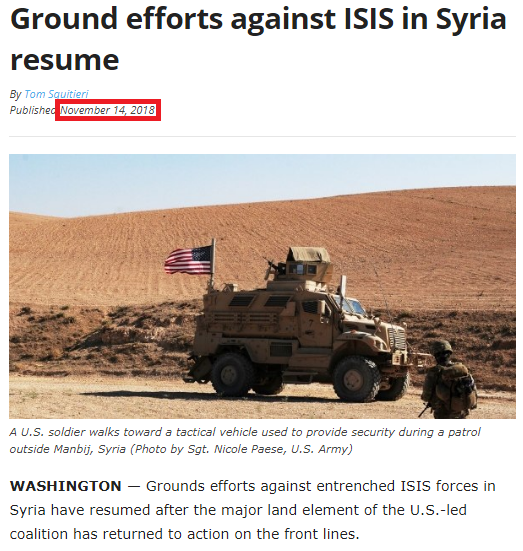 This element of doubt will be useful to the propagandists in breaking down the “ISIS did it” narrative as they begin to switch the blame to Iran / Hezbollah. The “expert” interviews on the media will thereafter focus on everything Iran stood to gain by covertly conducting the attack. This being said, you may be asking, “What about Russian and China? Won’t they stop the West from pinning the blame on Iran?” No, they won’t. Both Putin and Xi will supposedly die in the G20 attack, and the power vacuums they leave behind will be filled by Dmitry Medvedev and Li Keqiang. Both Medvedev and Li have been framed as “friends of the West,” so they’ll go along with the “Blame Iran” narrative. 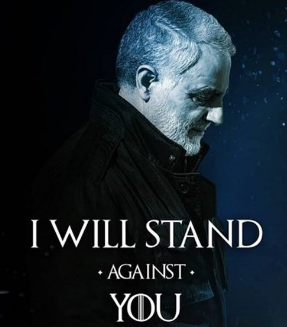 And with that being the case, the whole world will mobilize against Iran, Hezbollah, and everyone who helped them (such as the Syrian, Venezuelan, and Bolivian governments). The FSB earlier reported it had allegedly detained an ISIS member who masterminded the assassination of a leader of the so-called “Donetsk People’s Republic” (“DPR”), which is controlled by Russia. So the transfers occurred after Russia took the Crimea in 2014, which fits the script perfectly. This “Blame Ukraine” scenario can also be used in conjunction with the “Blame Medvedev and the Atlantic Integrationists” scenario. Since both Medvedev and the Ukrainian government are supposedly friends/puppets/agents of the Western powers, it can be said that Ukraine provided the “North Korean” nuke, Erdogan provided the ISIS suicide bombers, and Medvedev & Bortnikov provided safe passage to the target zone. Of course, this event would be used to start the Ukraine-Russia war. And as I’ve said in past entries, that war will result in Russia taking all Ukrainian territory east of the Dnieper River. That part of Ukraine was once part of ancient Khazaria, and the globalists want to reconstitute Khazaria under Putin (who will “miraculously” return later in the prophecy fulfillment show). Fast forwarding to today, it’s important to remember that Ukraine and Russia are currently on the precipice of war due to the naval incident 2 days ago. > North Korea may have passed one or more nukes to Ukraine. 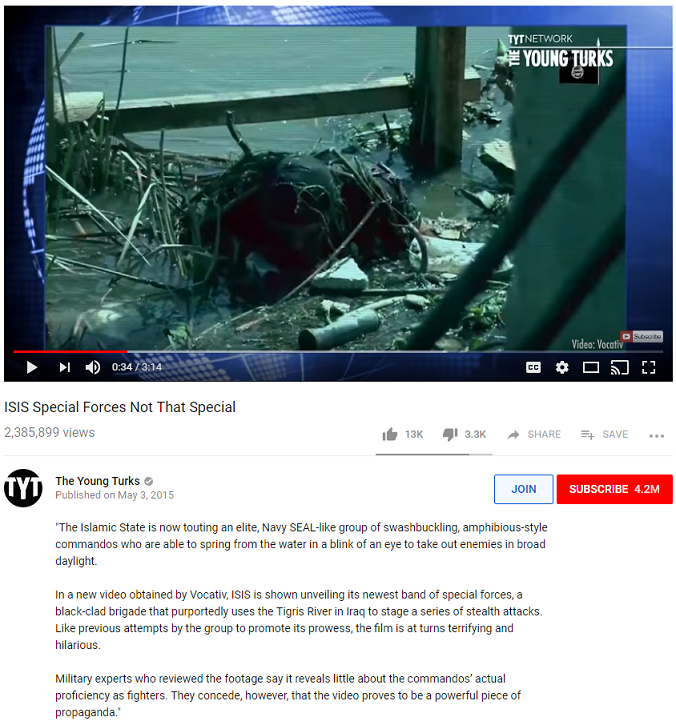 > According to the Russians, Ukrainian intelligence provides ISIS with money, weapons, and explosives. > Vladimir Putin may be killed in a nuclear attack in a few days that will first be blamed on ISIS. > Russia and Ukraine are already on the brink of war. So what scenario are they setting up? One in which the Russians blame the Ukrainians for providing ISIS with the North Korean nuke that killed Putin. Since Russia and Ukraine are already on the precipice, this would start an almost immediate war between the two nations, so that part of World War 3 would already be raging before the blame shifts from ISIS to Iran. Additionally, since the original source of the nuke will be identified as North Korea, the Indians will rage against Pakistan for helping the North Koreans build the nuke that killed Modi, and Pence will rage against North Korea for releasing the nuke that killed Trump. And as soon as the intermediary blame shifts from Ukraine / ISIS to Iran / Hezbollah, the Turks will rage at Iran for providing the nuke that killed Erdogan. The fact that the globalists staged the naval incident this week tells us that as of two days ago, they were still keeping their options open on the G20 hit. Let’s hope they punt; otherwise, we could be looking at a martial law Christmas courtesy of President Mike Pence. This entry was posted in Globalist Agenda Watch 2018 on November 12, 2018 by kenneth.